Cloud NURDZ Eliquid is well known for its selection of wild candied flavor vape juice. 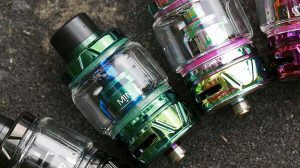 Each packed with flourishing flavor that you can never get tired of starting from sour, sweet, and iced out menthol in many different combinations giving you the full range of candy explosion. With Cloud NURDZ you would have no need to leave the house to get a pack of candy, all you need is right here in this very line of vape juice. No cavities, no sticky stuff on your teeth, just sweet candy delight on the inhale and exhale. How could you beat that? Grape Apple is the perfect way to give yourself a jump start when you’re feeling a bit groggy. Green apple and ripened grape infused together creating a lush mixture that you’ll never forget. This candied vape juice is the epitome of sweet and sour. 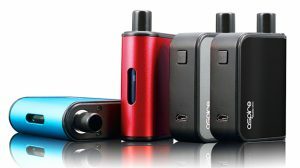 The ruck of thick cloudy vapor swarming in showering delicious notes of sour green apple with sweet grape melting onto your tongue on the inhale and exhale giving you the exact sensation of spray on candy. Peach Blue Razz is by far the most flavorful one there is with its unique combination of lip-smacking fruit candy extract. One drop of this mind-boggling juice and you’ll be hooked in no time. Imagine the rush of peachy nectar on the inhale as the tart tones of blue raspberry candy layers onto your tongue on the exhale. Talk about flavor, this juice will provide you with nothing but that in mind. Who doesn’t love grapes or strawberry? This yummy duo will give you the best of both worlds. Immediate splashes of delicious sugared strawberry and the deep undertones of earthy grape on the inhale fusing together on the inhale and as you exhale the show still goes on due to the aftertaste lingering amongst your mouth leaving you in everlasting flavor. Like they always say, you’ll catch more flies with honey than with vinegar. As true as this may be it stands no chance in the vape world. This bittersweet candy delight will turn your world upside down with its fruity twisted sensation of sweet strawberry and the citrus tones of bitter lemon. These two rivals will join together making sure your taste buds are alive and well. Like fire and ice, the lemon will erupt your taste buds in utter satisfaction on the inhale while the succulent tones of strawberry soothe your tongue leaving you in a sour-sweet haze on the out hale. Mmm mmmm, juicy watermelon, and crisp apple candy mix. What could be better than that? Submerge yourself in that smack of delicious tones of fruit drenching your tongue in true flavor. Sweet watermelon candy on the inhale and ripened apple intertwining with the watermelon on the exhale making one exquisite flavor. Vapor has literally frozen over those bored taste buds. Treat yourself to a tasty snack with the pleasant concoction of mouth-watering grape and sour green apple. These two flavors compliment each other in the best ways known to man. Sour notes of green apple making each taste bud clench on the inhale, while the divine taste of sweet grape will relax the tensed up testers with the help of bone-chilling menthol on the exhale. Peach Blue Razz by itself was the bomb, but Peach Blue Razz Iced now you’re asking for trouble. Save yourself the heartache if you’re a menthol lover looking for a perfect mentholated flavor that has that extra oomph. Sweet honeyed peach and tart blue raspberry candy on the inhale and ice cold menthol on the exhale combining with the lush fruits making an enticing experience. Have you ever dipped a hard candy in water and stuck it in the freezer? Well, it’s quite an experience and truly mouthwatering. Strawberry Grape Iced is the perfect resemblance of that and grasps the exact moment that you’ll always want to turn back to. Toothsome strawberry candy and light tones of sugared grape curing that sweet tooth on the inhale, while the mentholated touch of mint gives you an icy chill that’ll give you goosebumps. Strawberry lemonade with a couple of ice cubes formed into a hard candy and liquified into a batch of vape juice. This bittersweet combo will have you craving for more in no time, sweet tones of succulent strawberry with the bitter taste of lemons on the inhale and the spine-tingling notes of chilled menthol on the exhale. Mouthwatering watermelon and sweet apple with a splash of refreshing mint. Sound too good to be true but yet it is here right in our faces. 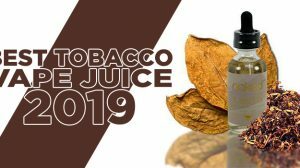 It’s as delicious as it sounds with its rush of juicy watermelon and crisp apples on the inhale, while the minted menthol escaped on the exhale leaving your breath minty fresh with a dash of candied fruit. 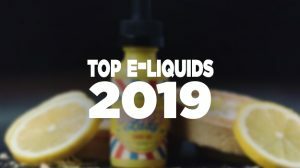 As you can see, the Cloud Nurdz brand has an extraordinary amount of eliquid products that span across two different lines, offering you an original fruit taste that is comprised of delicious blends, and a line that delivers that same great taste, except with the cool and refreshing taste of menthol. Both the brand and its products are excellent, and you simply won’t find another brand that can deliver everything all at once, from quality to taste. 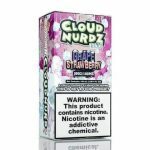 If you’re looking for a solid all-day-vape and enjoy awe-inspiring tastes of fruits, we’re certain you’ll love one of the industry’s latest, hottest brands, Cloud Nurdz! If you’re looking to find the best deal possible on the Cloud Nurdz brand, we encourage you to take advantage of West Coast Vape Supply’s Cloud Nurdz 100ML Pick 3 Bundle, which is a bundle deal that allows you to choose up to three of your most preferred flavors within the Cloud Nurdz line-up, which totals up to 300ML of vape juice for an affordable cost. 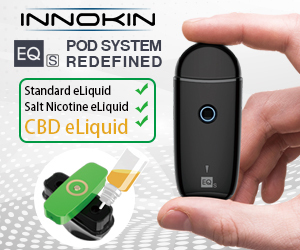 It’s one of the best deals on the web for this brand and gives you the opportunity to experience a variety of flavors and tastes they offer so that you can easily find your next all-day-vape!